Greetings from the Arizona Parks and Recreation Fellowship! 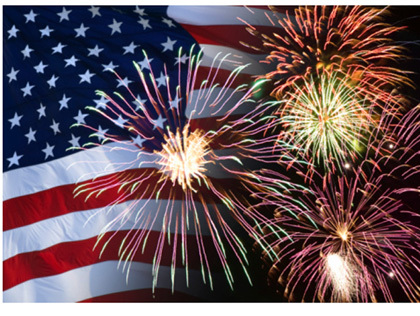 The City of Phoenix Parks and Recreation Department has again partnered with the Arizona Parks and Recreation Fellowship to coordinate all food vendors for the Fabulous Phoenix 4th on Thursday, July 4, 2019. The event will be held at Steele Indian School Park, 3rd Street just north of Indian School Road, from 5:00 to 10:00 p.m. This 74-acre fenced park is on the north side of Indian School Road between Central Avenue and 7th Street. The event will feature local entertainers, vendors, and free children’s activities. And of course Arizona’s most spectacular fireworks display. Go to the Fabulous Phoenix Fourth page for more info on how to become a vendor. Everyone shops on Amazon, so help earn money for APRF. When first visiting AmazonSmile, customers are prompted to select a charitable organization from almost one million eligible organizations. In order to browse or shop at AmazonSmile, customers must first select a charitable organization. For eligible purchases at AmazonSmile, the AmazonSmile Foundation will donate 0.5% of the purchase price to the customer’s selected charitable organization. APRA and APRF are excited to partner to offer a number of grants and scholarships throughout the year to professionals, students and organizations looking to better themselves or their community. Check out the Grants and Scholarships page for more details. Giving Assistant makes it easy to donate to Arizona Parks & Recreation Fellowship! Simply shop online, earn cash back, and donate as much as 30% of your purchase price—Giving Assistant facilitates the whole process. Now, you can help change the world for free while saving money at over 3,000 popular online retailers like Office Depot, Sears, and Joann! Sign up for Giving Assistant and donate up to 30% of your Staples purchase to Arizona Parks & Recreation Fellowship! It’s easy and most importantly it’s free! Sign up today! APRF is committed to financially supporting parks, recreation, and leisure oriented educational development and scholarships, research, advocacy, and community enrichment.